Google’s 25,000-foot digital billboard, launched on Nov. 24, is the size of an entire city block and has a ridiculous pixel density. 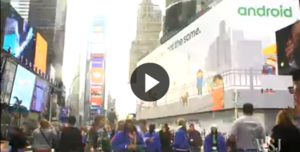 Avoid the trip to Times Square and see the monstrous billboard here. 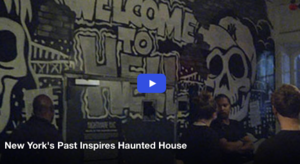 New York City’s bad old days are here again in a Halloween haunted house. Many of the features of “Nightmare: New York” harken back to the 1970s when subways were awash in graffiti and crime, gun-wielding wielding punks roamed the streets.